RAT CONTROL & ATTIC CLEANING COMPANY CALL GREEN RAT CONTROL AT (818) 772-7721 Rats, mice, and other rodents thrive in the Southern California and cause damage to attics and crawlspaces as well as carry diseases and parasites. Getting rid of rats and mice can be difficult and requires a proven method to effectively get rid of them and keep them away. Click to Read more information about common causes of rodent infestations and the risk the entailed Green Rat Control offers all your attic cleaning, rat control, rodent control, attic decontamination, debris cleanup, and insulation removal & replacement services. We have experience all types of attic cleanup in homes, we service Los Angeles, Orange County, Ventura County, San Bernardino County. Almost every home has had a rodent infestation at one point. Rodents and other Pests are in almost every community and can find their way into most homes. 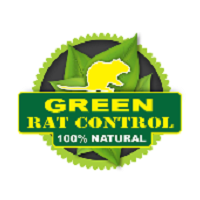 Green Rat Control specializing in rat cleanup and our exclusive rodent decontamination services. Our rat control & attic cleaning company service the Southern and Northern California areas, our services includes: Attic Cleaning and Removing of Pollen , Viruses, Smoke, bacteria, Mold Pet Dander, Odor Often the attic gets cluttered with old cardboard boxes, christmas decorations and Christmas trees, packing materials and just plain old junk. If the trash in your attic gets out of hand, call Green Rat Control attic cleaning services to help. OUR TRAINED PROFESSIONALS WILL CLEAN OUT ALL THE GARBAGE FROM YOUR ATTIC WHILE YOU WAIT. When Green Rat Control & attic cleaning, clean out an attic, we take special care not to damage the walls, floor and ceiling of your home or apartment. It doesn’t matter how large the junk is, we will take it. We can clear out old furniture, memorabilia, papers and books, clothing, whatever it is, we can handle it. For any attic cleaning jobs call Green Rat Control up for help.